BLAMMOB Limited - Affiliate CPA network reviews and details. 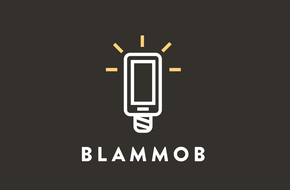 Powered by an innovative mobile technology infrastructure inspired by its founders several decades' worth of mobile industry experience BLAMMOB is a golden key for your main goal. Whether you are a publisher looking to maximize the value you get from your existing in app mobile traffic or you're an advertiser looking for more eyeballs for your latest campaign creation, contact truly professionals of digital marketing and finally get the partner you need to SUCCEED in the highly competitive world of mobile advertising. My revenues were increased in more than two times! They've got great variety of offers and perfect, professional team. I know that even the owner works in the company. And it's always nice to know that the owner is involved in the process. It's the network! They helped me to earn money, when I was a newbie. Always helpful. Great team. I've got only one thing to say bout Blammob — their offers usually work better. That's it for me. I'm really happy that I started to work with Blammob in 2017. They've got helpfull support and nice managers. I will continue to work with them, becuase they help me to earn money.